When it comes to your child and teen, pediatric orthopedics and sports medicine matters. Not every doctor knows how to treat growing bones. The specialists in our nationally ranked orthopedics department do. 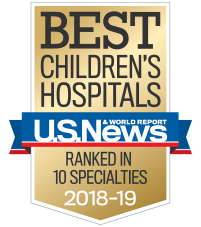 As one of the largest pediatric orthopedic practices in the Southeast with 11 surgeons, one orthopedist and six sports medicine primary care physicians, we treat kids and teens with a wide range of orthopedic conditions, from casting broken bones to performing spine surgery. Where you take your child matters, because the treatment their growing bones get today impacts their entire future. Is your child in pain? Use our injury finder to learn about injuries we treat and how our team can help. We are excited to announce that we have expanded our team. On Feb. 1, 2019, the following surgeons of Emory Orthopaedics joined our practice. Complete and print the appropriate forms below. Remember to bring the completed forms to your child's appointment. Completing forms prior to your arrival will help reduce wait times. Download "Five things you need to know before your child’s appointment"